The Rome of the Renaissance still kept alive! After crossing monumental squares, passing by Gothic churches and admiring gorgeous palaces a walk along the beautiful via Giulia will conclude this exciting tour. 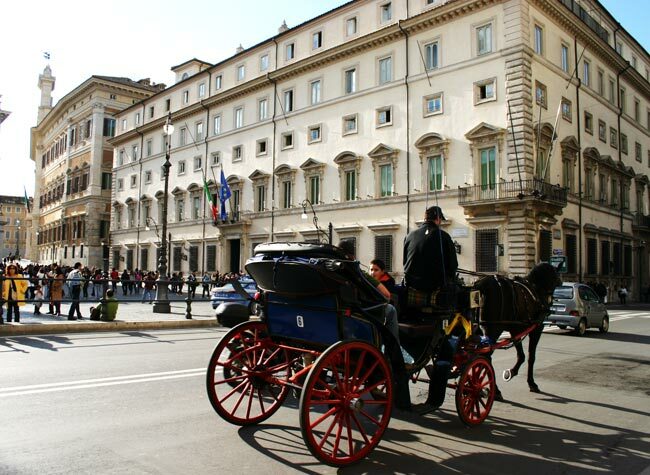 Our stroll will also reveal the charm of this area of Rome with its local cafes, trattorias and typical outdoor markets. We start this tour from Piazza Colonna, heart of the Italian political life. 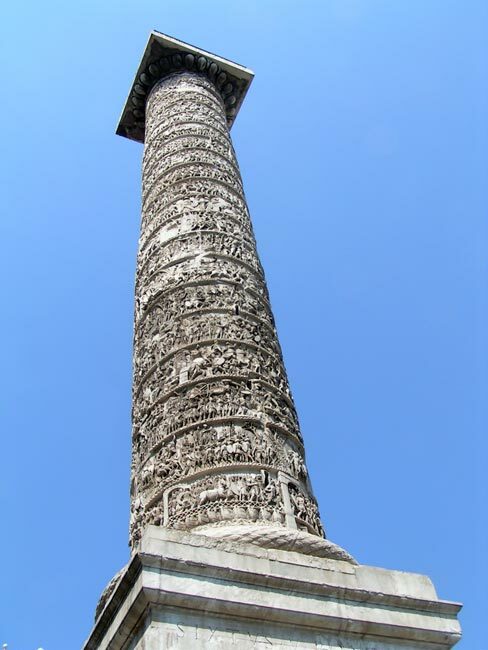 You will see the famous ancient column for Emperor Marcus Aurelius and the Renaissance Palazzo Chigi, housing the working office of our Prime minister. Around the corner the many layers of Roman history will come alive seeing the Temple of Hadrian, visible in part of a 17th Century building. Experience the beautiful Piazza Sant'Ignazio, a masterpiece of Rococo architecture, where we will go into the impressive baroque church of Sant'Ignazio. You will be surprised by unexpected effects and striking scenes. We continue to Santa Maria sopra Minerva, the only Gothic church in town, that behind its simple facade preserves a little unknown work by Michelangelo and the tomb of St. Catherine of Siena. Outside the church, on the piazza, you will see a sculpture of the famous Gian Lorenzo Bernini: an elephant carrying an obelisk. Then we will wander into the network of tiny streets, the area known as the Renaissance quarter, where you will discover a dear in a strange position, a famous “corkscrew" and one of the few painted houses of the late Renaissance. 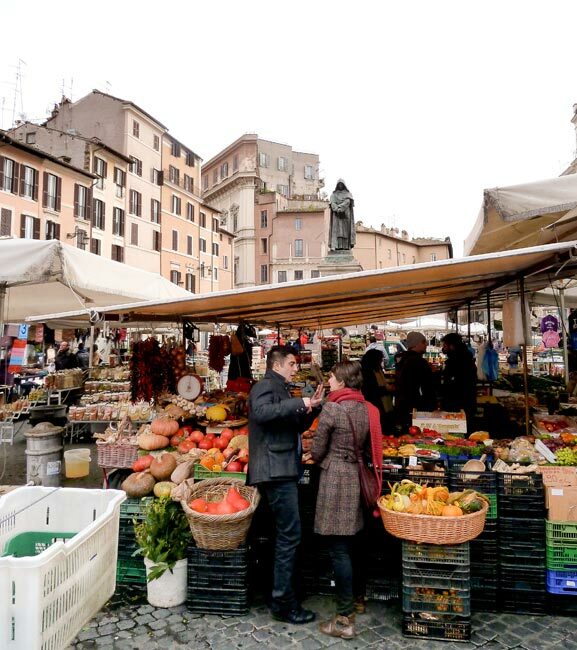 The district’s heart is Campo de' Fiori, where the mornings are animated with a picturesque market and the evenings with the nightlife of young Romans. After an espresso or a gelato we follow our way to the Piazza Farnese, on which stands the monumental palace that gives the square its name. 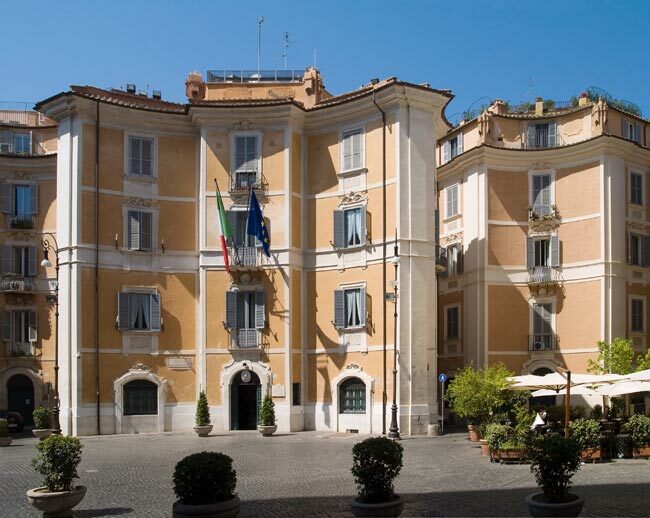 Passing the beautiful Palazzo Spada, we arrive in what is perhaps the most beautiful and best-preserved street of old Rome, Via Giulia. Begun by the initiative of pope Julius II in 1508, the new street was devised as the first modern thoroughfare in the old medieval core of Rome mostly parallel along the Tiber and a straight connection between the Capitol and the Vatican. 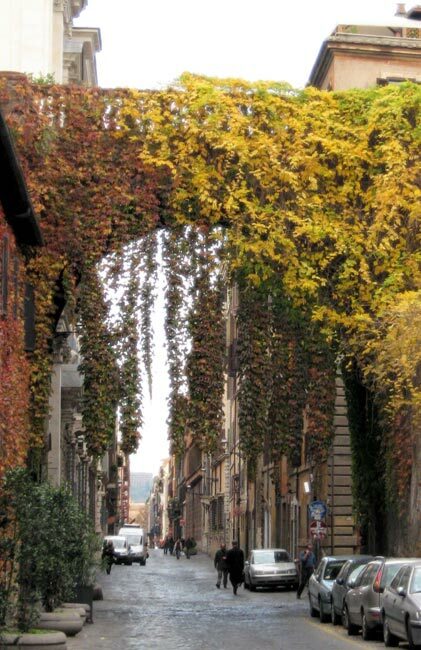 This street gives you a sense of harmony and measure that has been lost almost everywhere in Modern Rome. Enjoy the impression of churches and palaces of the Roman aristocracy as we walk through. Note: Walking tour. Many smaller churches close between 12am and 4pm.